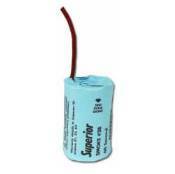 Superior Signal Smoke Candles for air flow & air leak studies. In stock, fast shipping! 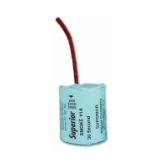 Superior Signal Smoke Candles produce large quantities of dense, white smoke for tracing air flow patterns and leak-testing plumbing systems and othe renclosures. Just light with a match or lighter. 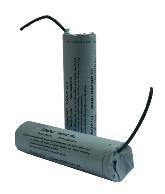 Superior Signal smoke candles produce no flame, only smoke by a thermogenic chemical reaction over a specific burn time. Choose from three Superior Smoke Candle burn times and smoke volumes to meet your needs. Leak Detection: Smoke from a Superior Smoke Candle is highly visible, blending readily with air and gases. A burning smoke candle is hot, but the resulting smoke is cool and does not support combustion. Invisible leaks become readily detectable when Superior Smoke is added. To detect leaks in small- or medium- sized enclosures--such as furnaces, tanks, piping systems and ductwork--use enough smoke to fill a volume at least 2-3 times greater than that being tested. Use the Superior Signal 5E Electric Smoke Blower to inject smoke and pressurize drain lines and sewer laterals for fast, efficient leak detection. Air-Flow Studies: Superior Smoke Candles simplify the observation of flow patterns in all types of wind tunnels, air-moving equipment, and natural airflow, indoors or out. Generally, 1 part smoke to two parts air (volume:volume) provides readily viewable results. Balance HVAC system by observing the discharge of smoke from ducts and supply grilles. Photography: Smoke from Superior Smoke Candles photographs from white to dark gray, depending on smoke density and lighting. Dramatic color effects can be achieved by directing colored lights through thin concentrations of the smoke. Semi Trailer and Cargo Container Leak Tests: Smoke from one 3C Smoke Candle generously fills a 40 ft container from top to bottom and front to back. Clearly shows rust holes, popped seams and welds, leaks around doors and hinges. One to two 3C Smoke Candles are recommended for semi trailers. The Superior method of generating smoke by thermogenic chemical reaction eliminates costly equipment and time consuming leak detection. 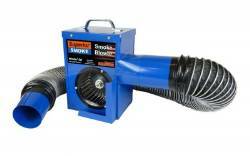 Superior Smoke effectively and inexpensively reveals leaks and other faults in heating and air conditioning duct work, furnaces, tanks, piping and sewerage/waste collection systems, semi trailers and shipping containers. 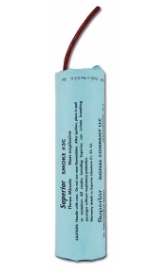 Superior Smoke Candles are ideal for observing air flow patterns, evaluating exhaust systems, photography, dislodging burrowing animals and triggering smoke alarms. Smoke varies in color from white to gray depending upon density and lighting. 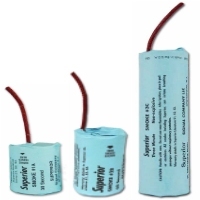 Superior Smoke Candles contain no explosive materials. Caution: The smoke emitted from Superior Smoke Candles is non-toxic, but can irritate breathing passages when respiratory protection is not used. 12/29/2009 – What are the dimensions of the different smoke candles?